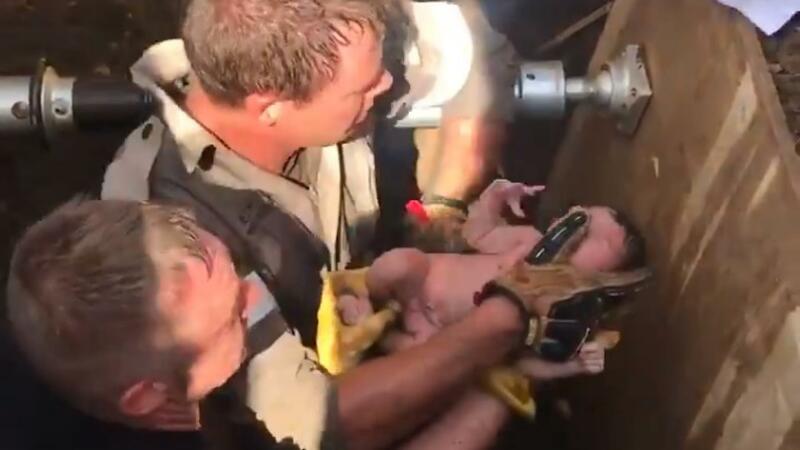 Rescue workers in South Africa have pulled a newborn baby from a storm drain in a four-hour operation that ended with whoops and cheers from onlookers. Rescue Care Paramedics, one of the groups that helped to extricate the infant girl in Durban, said it was unclear why the baby was “dumped” and that police were launching an investigation. The group said emergency responders went to the scene on Monday (local time) after residents heard a baby crying from deep inside the concrete storm drain. 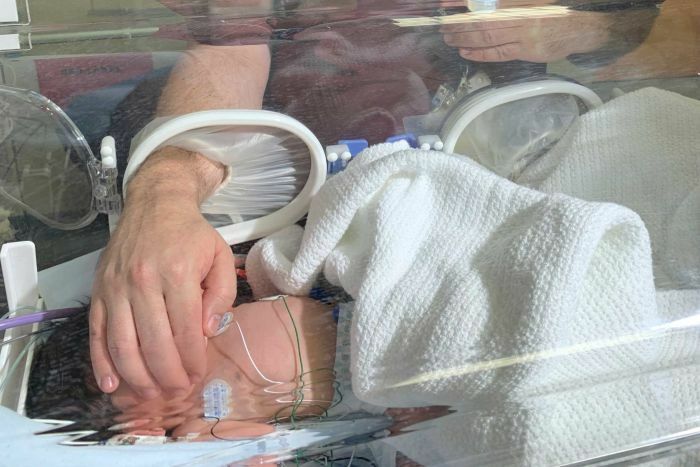 KwaZulu-Natal emergency medical services spokesperson Robert McKenzie told the South African Broadcasting Corporation (SABC) that the baby was “washed about 5 or 6 metres further down the drain pipe”. “It’s good news for the ending of this rescue today,” he said. The area was dug up and a chisel and hammer were used to break into the drain. Video showed an official lifting the baby to a colleague standing above a pit as people celebrated the successful rescue. The infant was airlifted from the scene and is being treated at Durban’s Inkosi Albert Luthuli Central Hospital.